Preparation time: 15 minutes. Baking time: 11–13 minutes per batch. Chilling time: at least 1 hour. Place all ingredients in a large mixing bowl and stir to mix well. 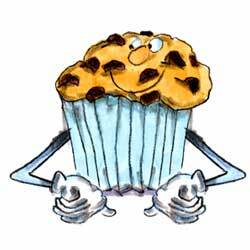 Refrigerate batter at least one hour before baking muffins to allow cereal to soften. Preheat oven to 400°F. Stir batter. Line muffin tins with paper baking cups. Fill each I full with batter (approximately 3/4 cup batter per muffin). Bake for 11–13 minutes, or until toothpick inserted in muffins comes out clean. Cover unused batter and refrigerate for up to 10 days. Muffins freeze well.